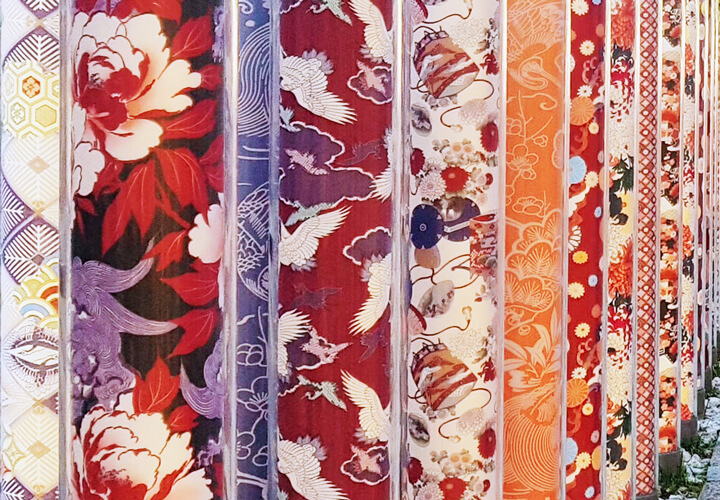 Designer Sara Tononi has just returned from a two-week trip to Japan where she went to admire the Kimono Forest at Arashiyama Station in Kyoto. The station was renovated in 2013 when a studio named GLAMOROUS dreamed up the Kimono Forest – a stunning installation that makes you forget you’re inside a train station. There is so much to love about the Kimono Forest, starting with the fact that it celebrates the craft of making traditional Japanese textiles by reimagining a bamboo forest. The art piece was created in collaboration with designer and artist Yasumichi Morita for a textile factory called Kamedatori, and features over 32 different patterns. It also solves a problem for Arashiyama – an area of Kyoto that didn’t attract nearly as many visitors previously, but now has a station that is considered a “must see” for anyone visiting Japan. 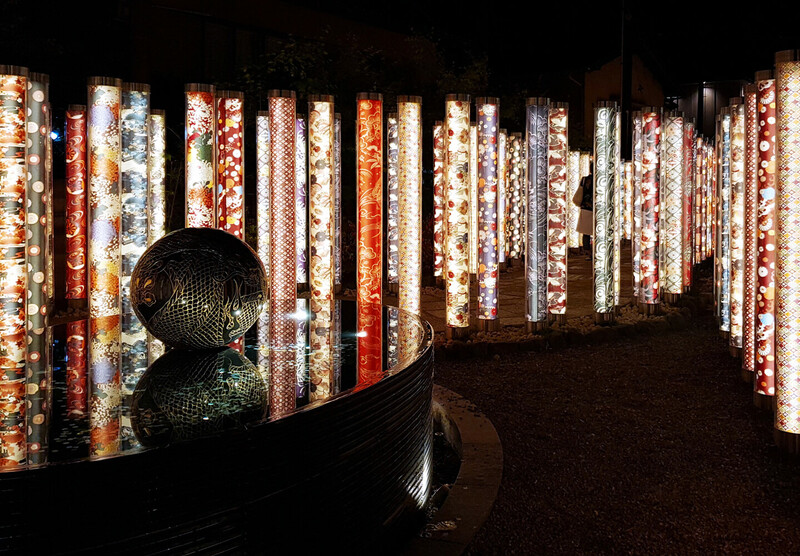 “To be in a small village and discover this beautiful design installation was quite surprising. The cylinder shapes are a reminder of the nearby bamboo forest, and the textile applications are beautiful. They look even better when they are illuminated at nighttime. 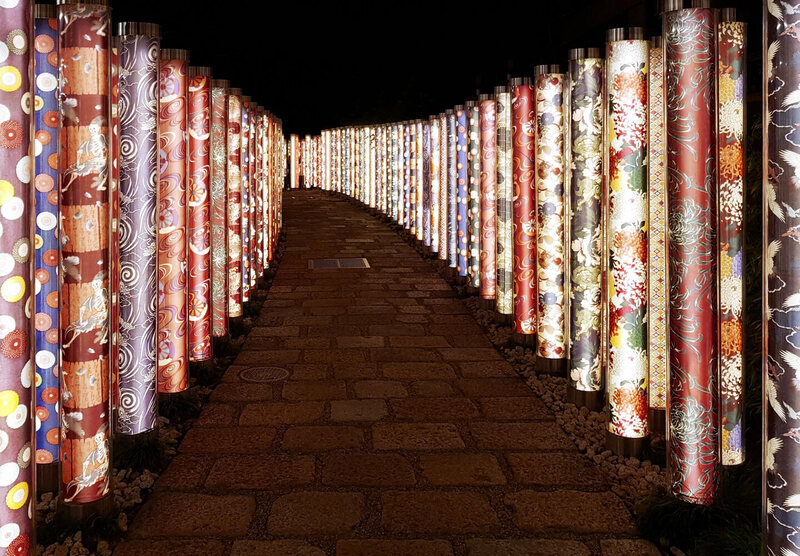 Arashiyama station is not very big so it was nice to discover something so magical and unexpected there,” explains Sara. 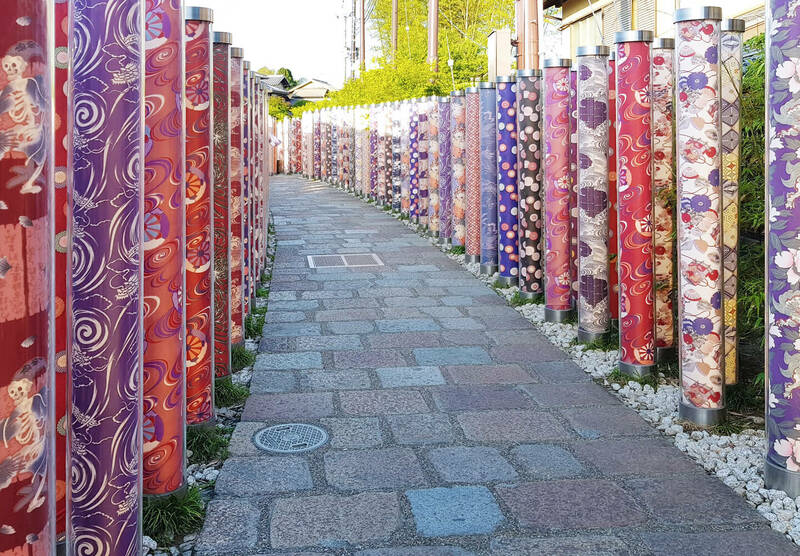 The Kimono Forest is made up of over 600 two-meter tall cylinders wrapped in incredible fabric dyed in the Kyo Yuzen style. At night time, they’re illuminated with LED lights creating a magical, warm atmosphere – words not usually used to describe train stations! At the end of Kimono Lane, you’ll find a pond decorated with dragons, and it’s said if you dip your hands in the water, you will be blessed with happiness. 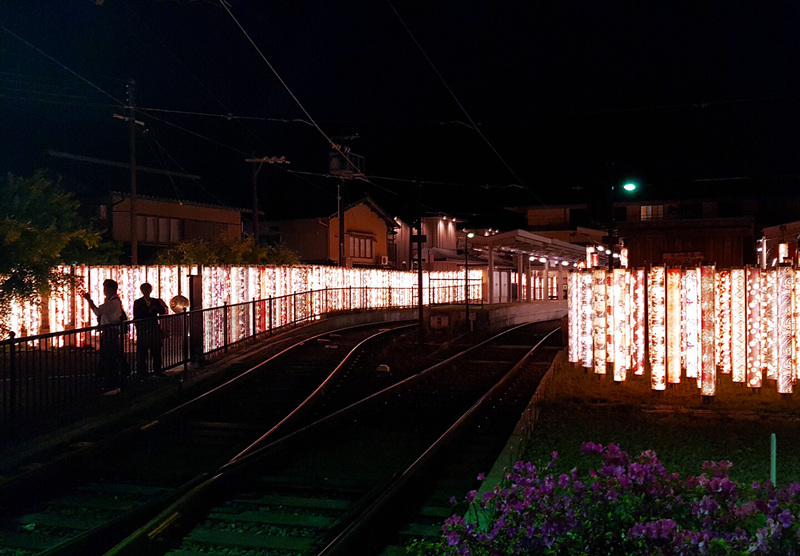 Arashiyama Station sits on the Randen Line and part of the Kimono Forest runs along the train tracks themselves – apparently, riding on old-fashioned train cars through the Kimono Forest is truly unforgettable, especially at night. This project won an SEGD Merit Award in 2015.